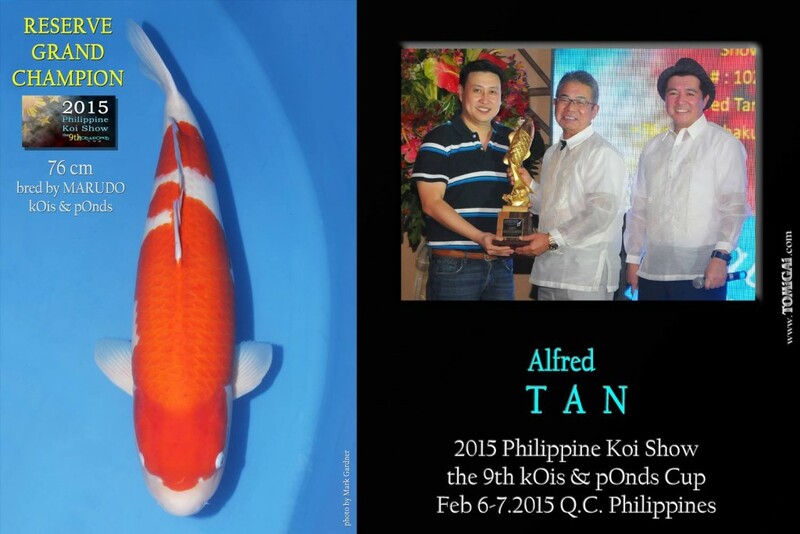 The main annual event that I look forward to every year, the Philippine Koi Show has always been held during the weekend after the All-Japan Koi Show. 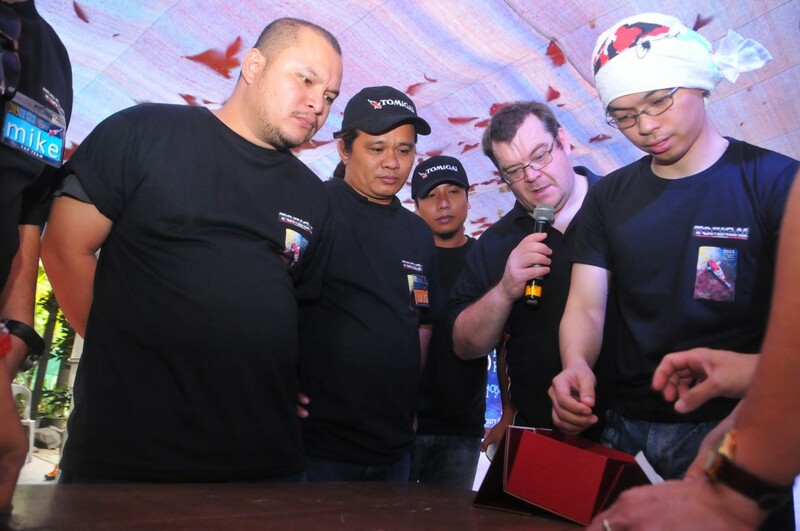 Preparing for this event takes up pretty much all of our time during the slower winter months in the United States and gives us a really nice kick-start to the year. 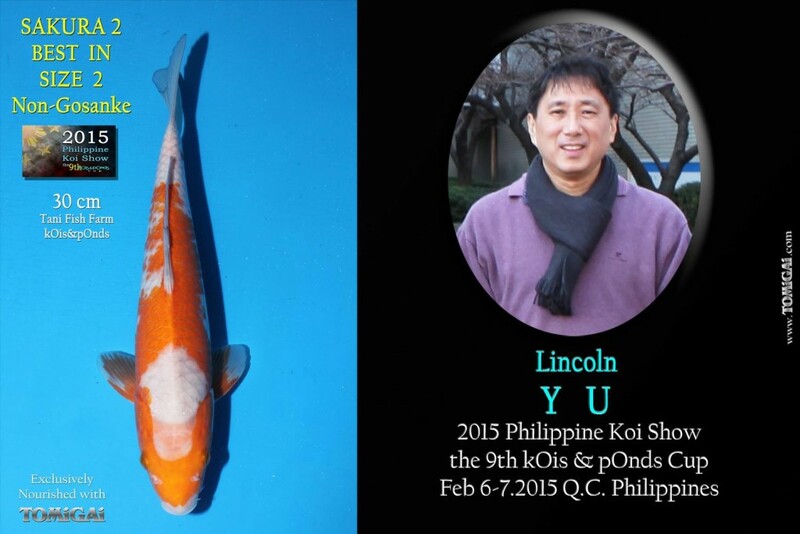 Since the month of February finds Minnesota quite gray, snowy and freezing (something that isn’t pleasant after 3 straight months of this), I am always looking forward to this event with anxious anticipation. 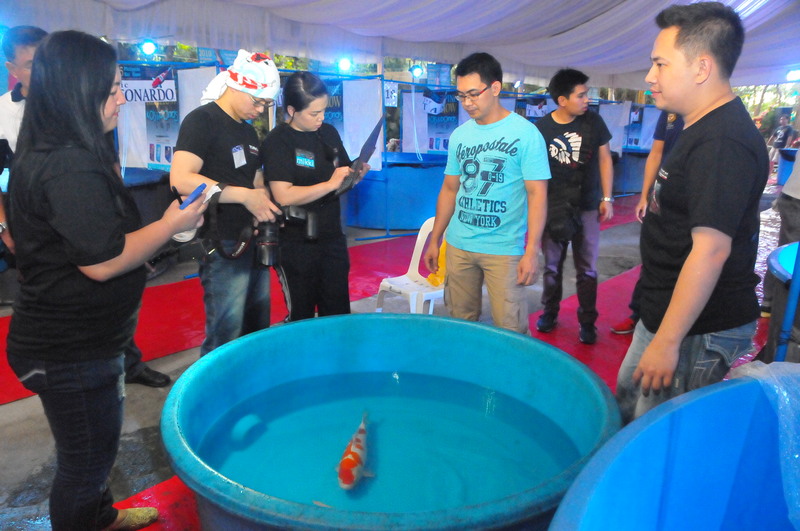 In the days leading up to the event, hobbyists and professionals from all over the country started pouring into Kois & Ponds to get ready for another exciting event that was set to take place before the Koi Show festivities began. 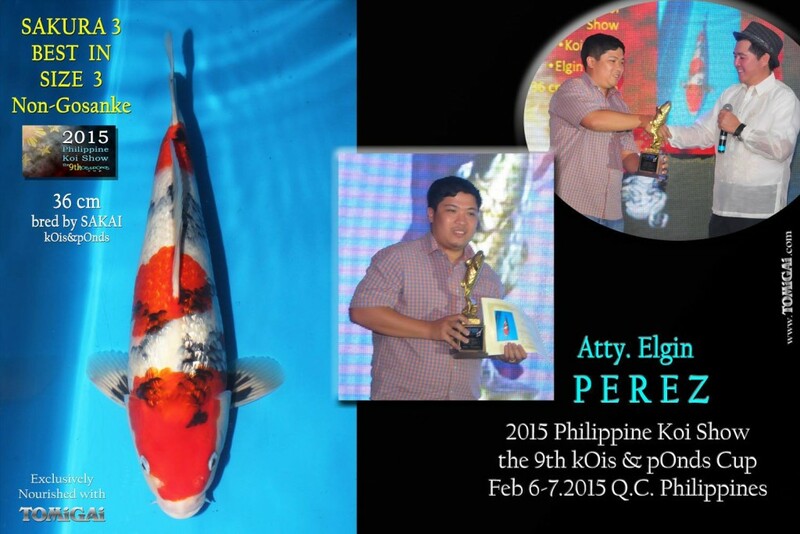 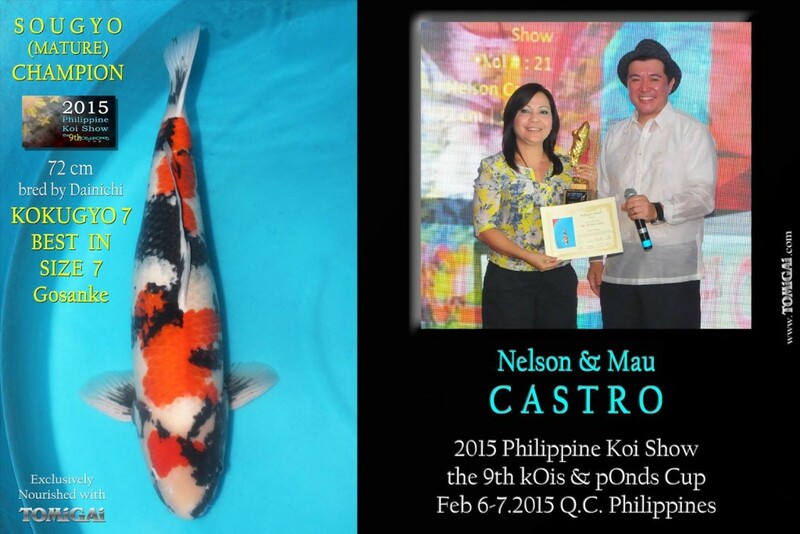 The 2015 Philippine Koi show also marked the birth of a new organization in the Philippine Koi Industry: The Philippine Koi Judges Association. 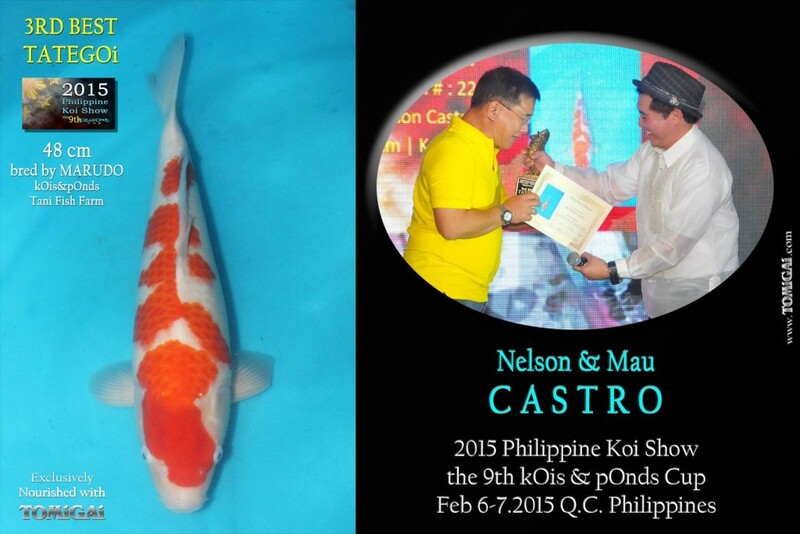 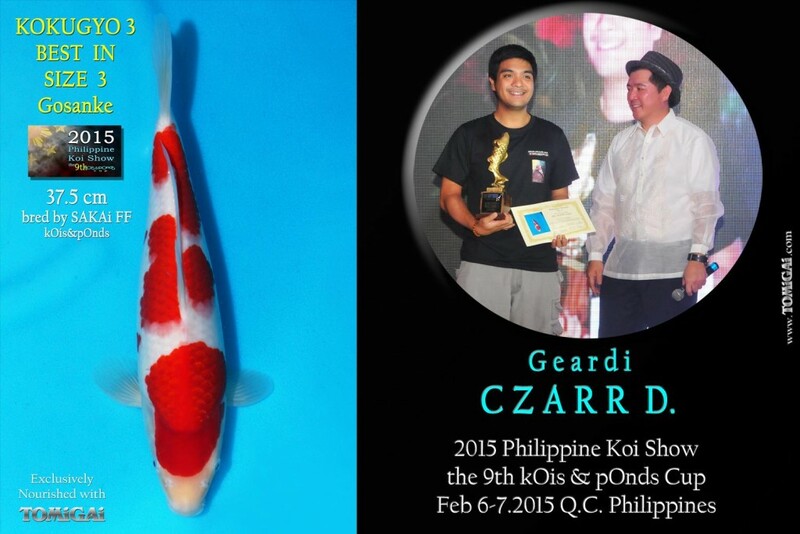 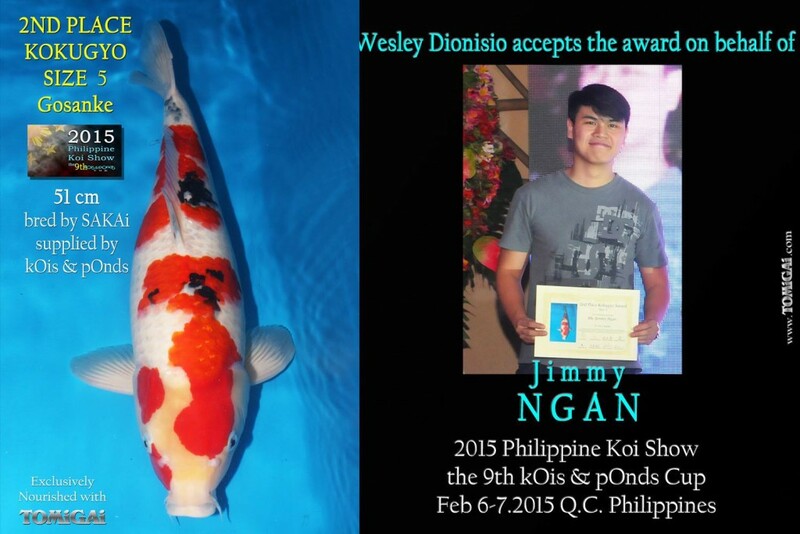 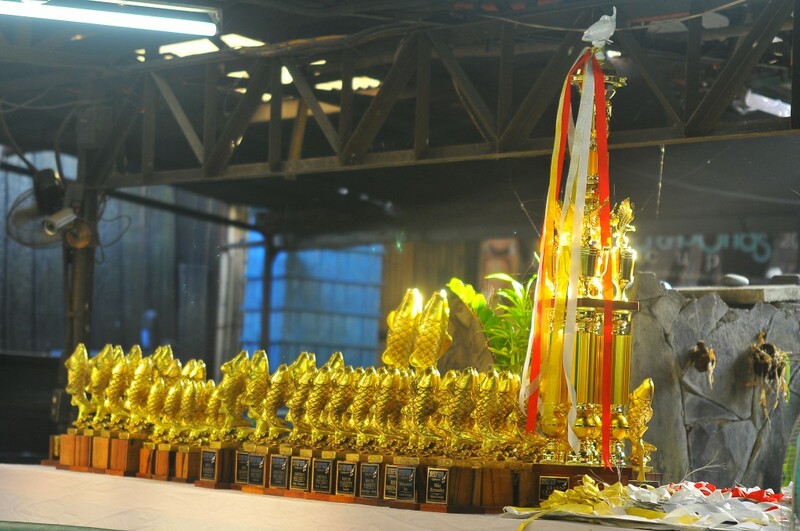 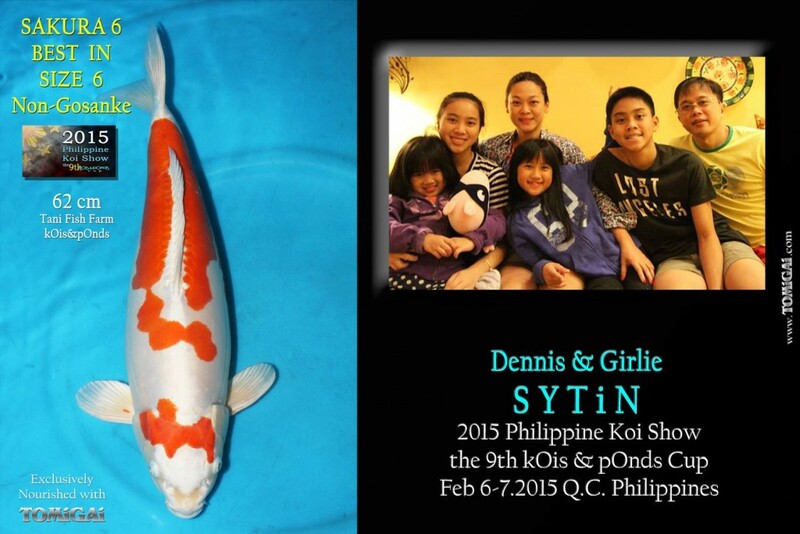 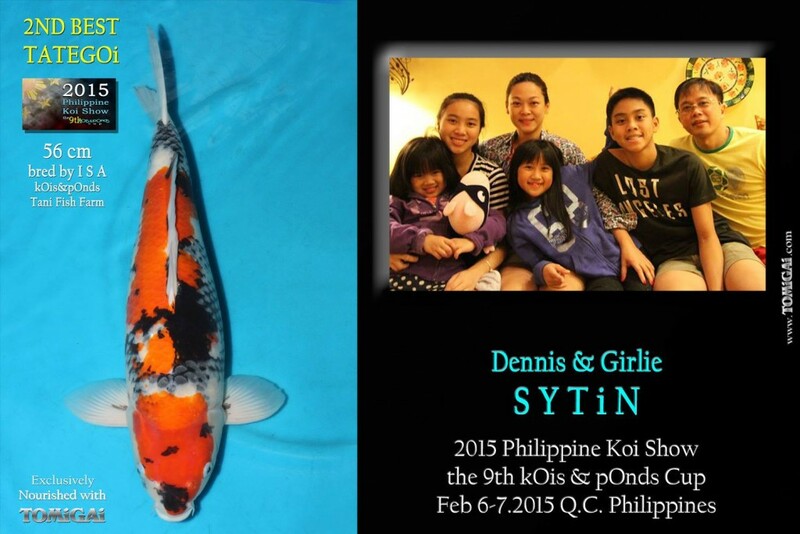 The country’s first open Koi show competition was brought to reality in 2011 when the Philippine Koi show began and since then the hobby has exploded and gone leaps and bounds. 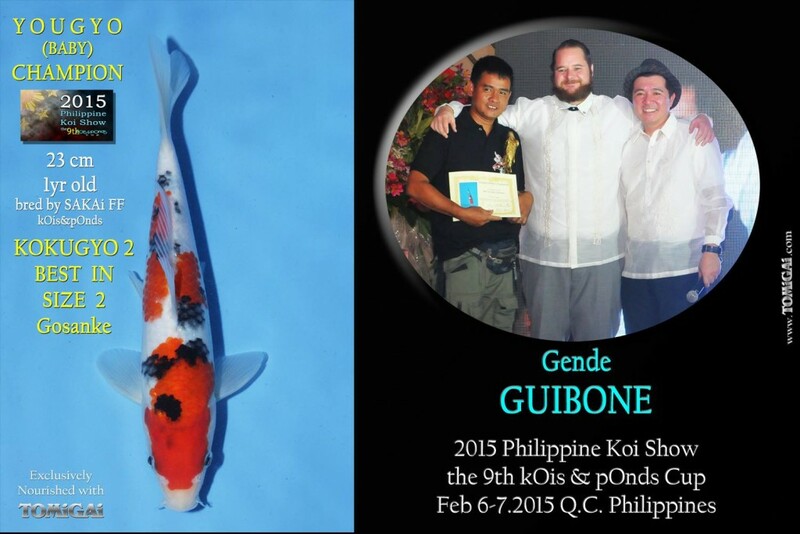 With each passing year, the desire and hunger to learn more about Koi grew more and more among the hobbyists and discussions about the need for a judging program began. 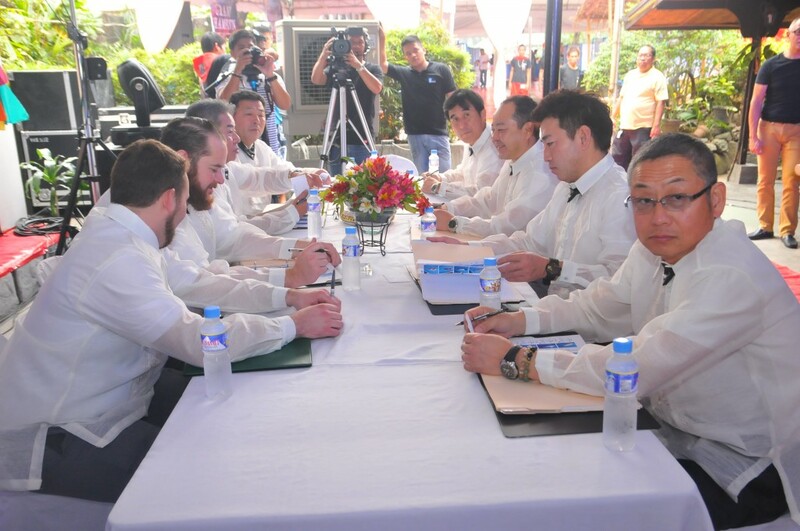 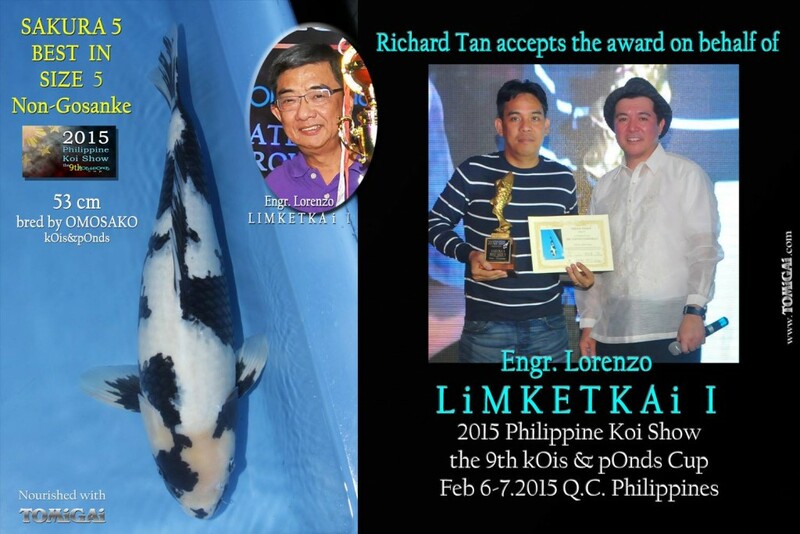 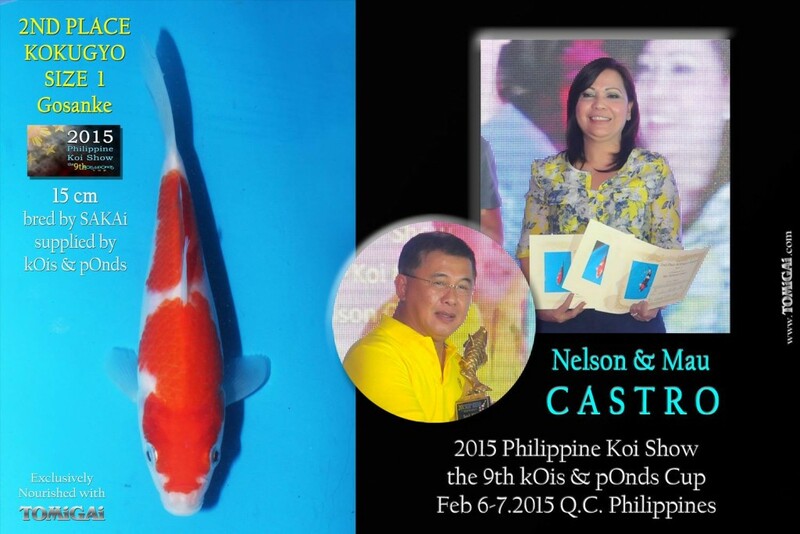 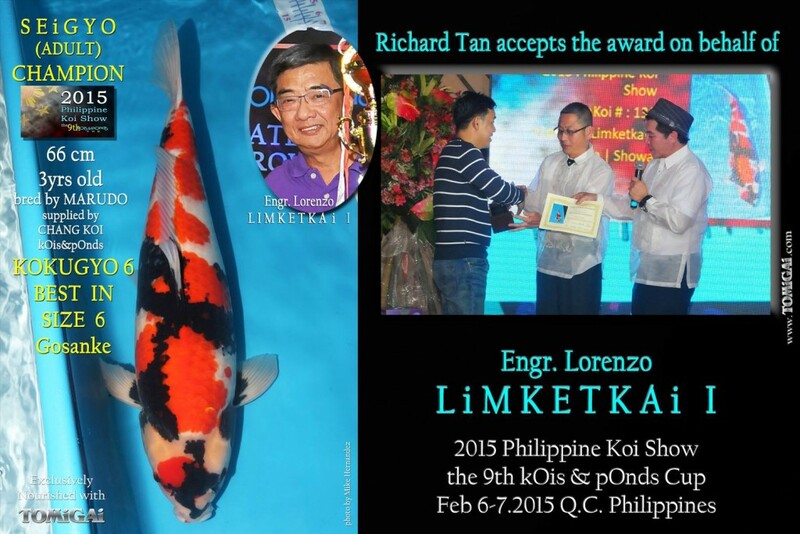 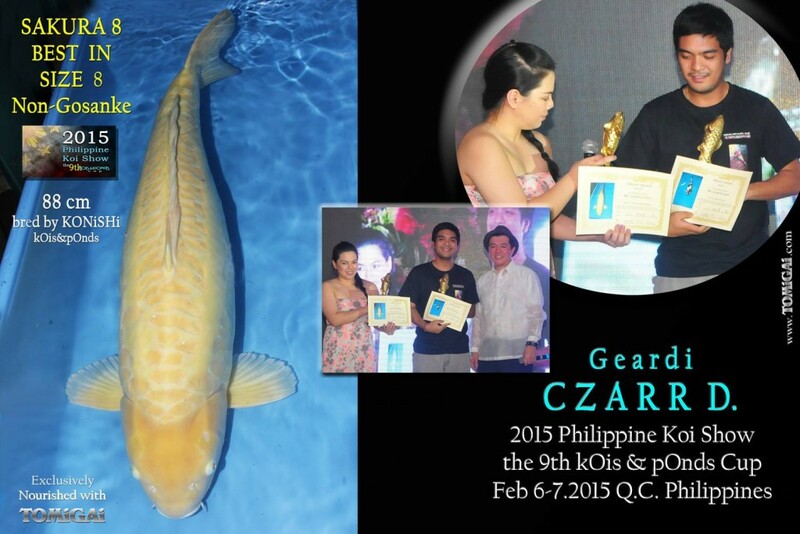 Serious meetings about this took place late last year where it was agreed upon that the association would be christened at the 2015 Philippine Koi Show and all aspirants would be guided, supervised and mentored by only the most respected names in Koi. 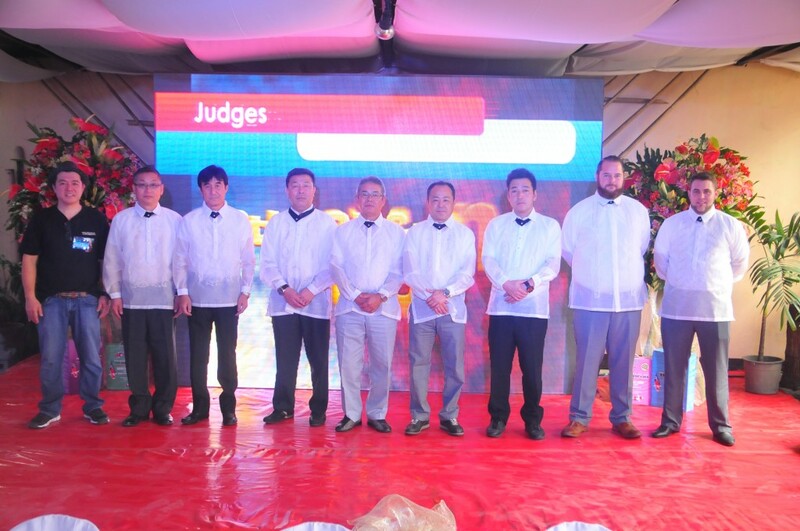 Currently, the members of the program are as follows: La Razo, Armiel De Torres, OJ Valera, Larry Valera, Jun Sunga, Jun Abucay, Richard Tan, Rhonel Lozaga, Briexcell Martinez and Michael Go. 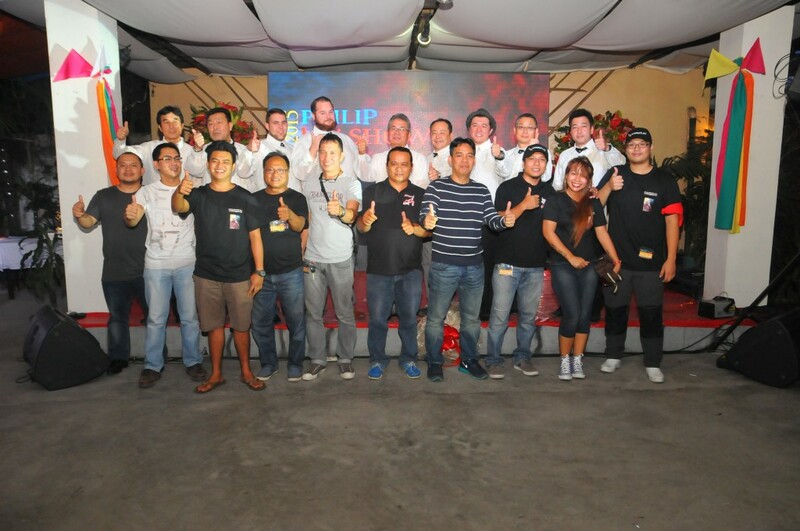 Congratulations to all the candidates! 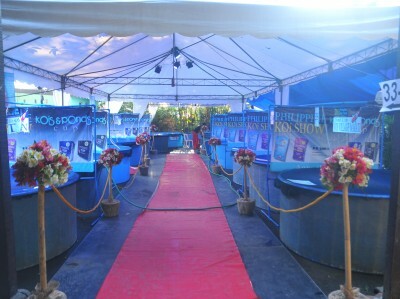 You guys all did such a good job! We are so happy and grateful to be a part of your new learning journey in Koi, and we are so looking forward to providing you with the best opportunities possible. 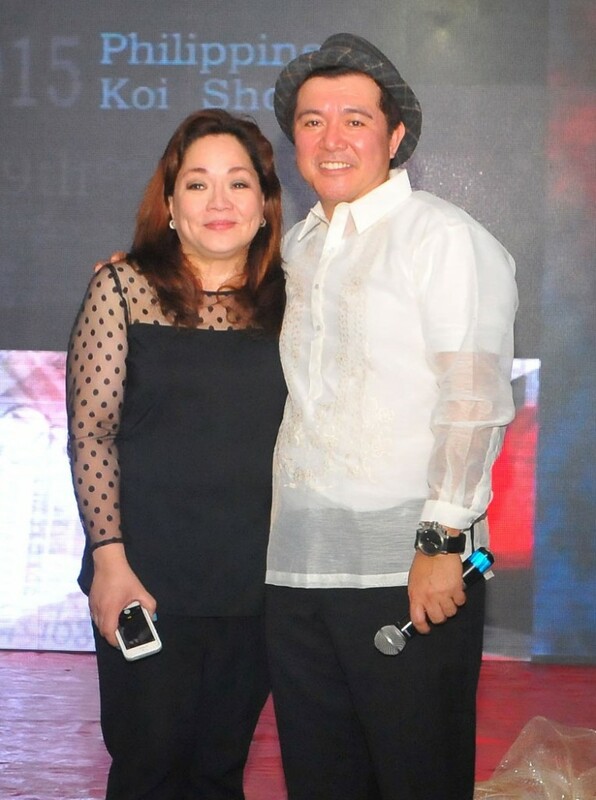 Omedetou gozaimasu! 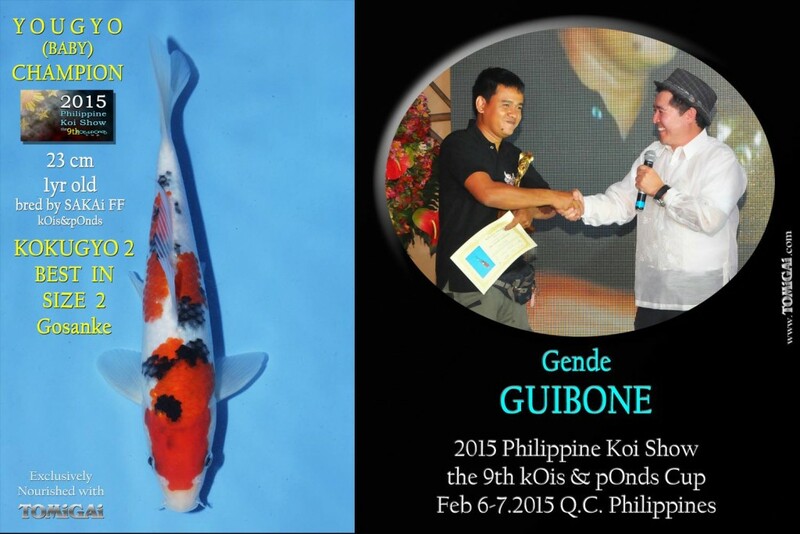 Gambatte, ne! 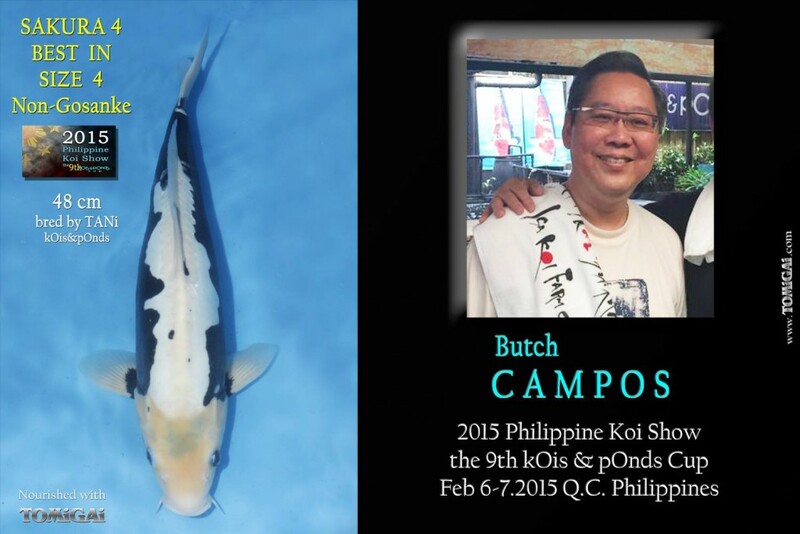 Since 2011 it has become tradition for myself, my older brother Tom, Devin and my dad to all get on a plane headed for the Philippines; something that Shawn McHenry of Mystic Koi joined us in doing by 2012. 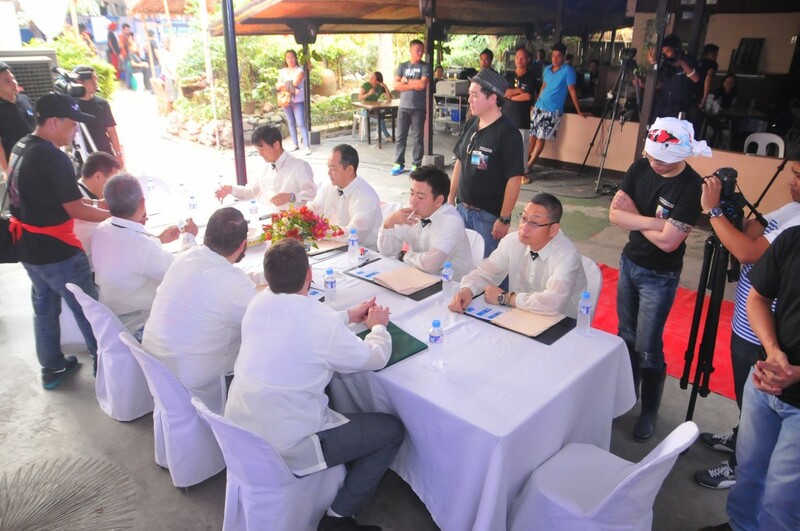 Every year it has been a roller coaster of surprises and challenges, which we would all sit down and discuss after the show’s conclusion. 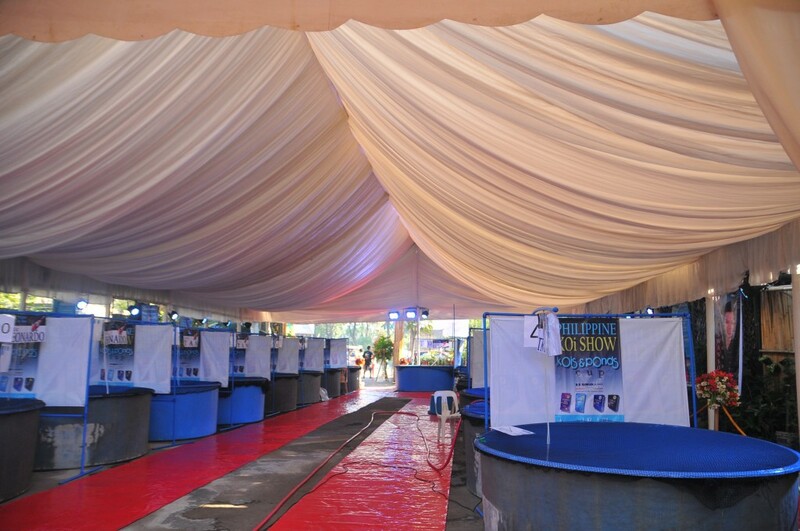 This year, though, as we began to discuss the event we found ourselves just staring at each other blankly. 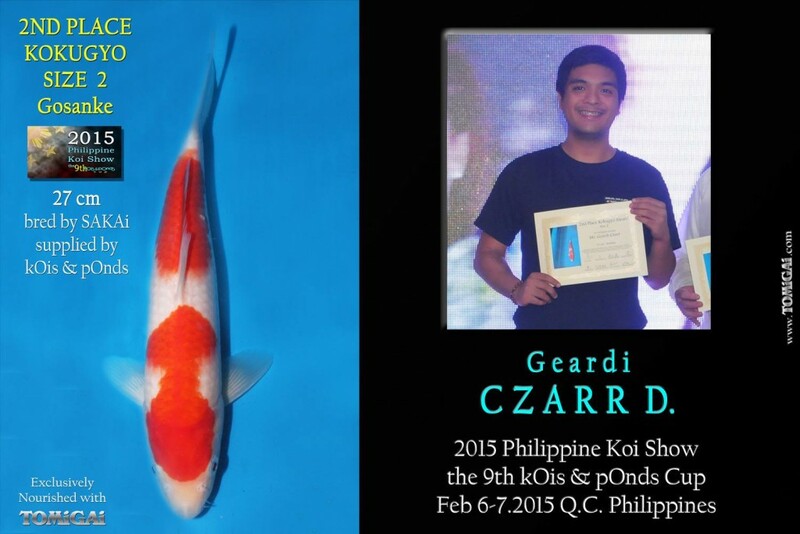 It feels weird this year. 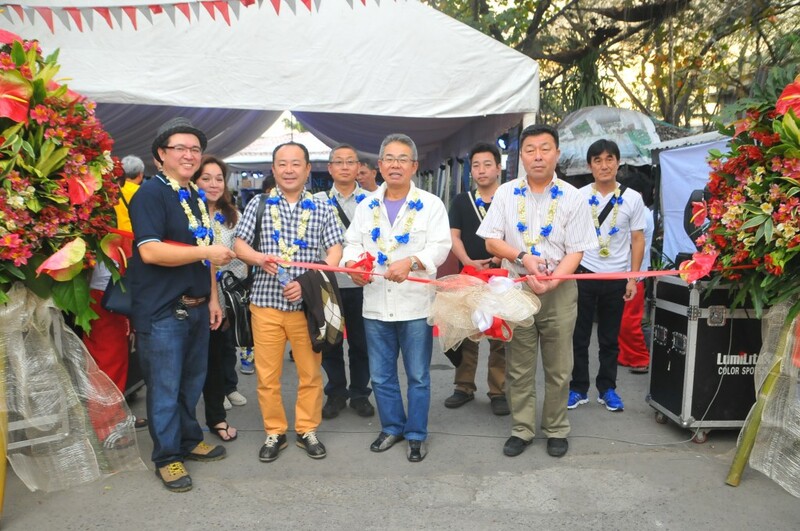 Everything went really smoothly. 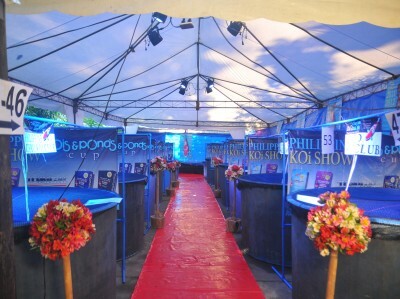 Did the show really even happen? 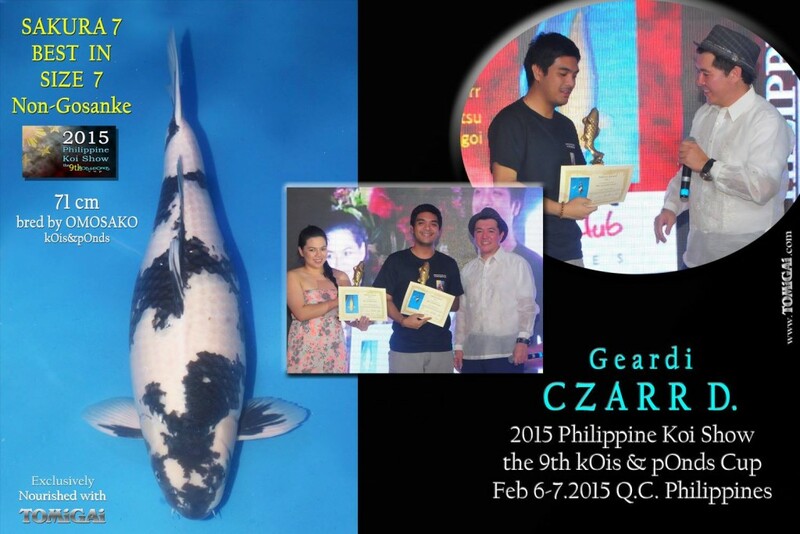 That was the general geist of the conversation. 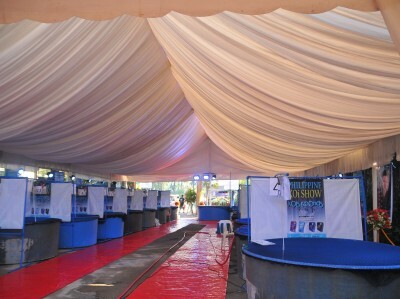 After four years of experimenting, planning and brainstorming on how to make everything work, I think we finally figured out how to put everything together with little to no stress and that is in no small part due to the tireless efforts of all the volunteers, staff and friends who help make each event possible. 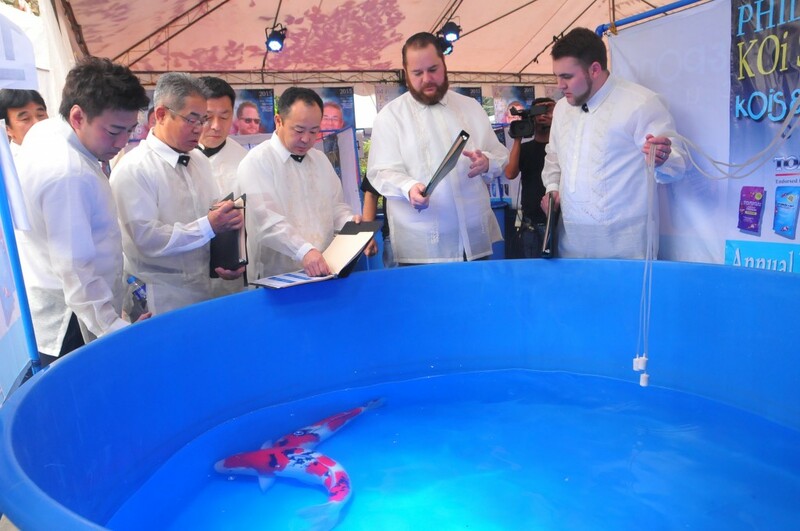 We had two benching teams bench all the Koi contained in 53 vats 8 hours and I have to say I am privileged to work with an amazing group of individuals for benching fish. 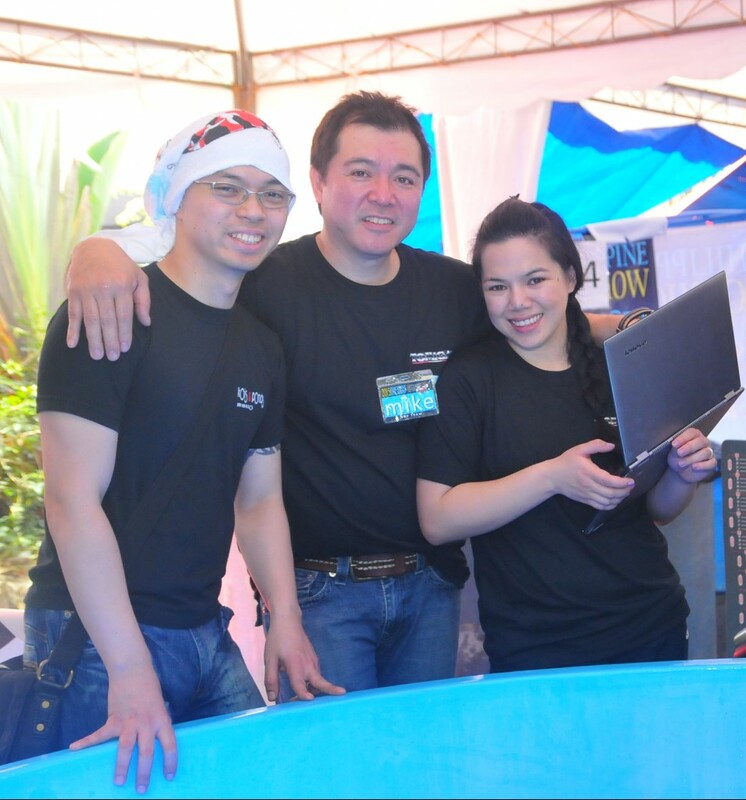 Benching Team 1 consisted of myself entering data, my brother Tom together with Philippine Koi Judges’ Association (PKJA) candidate judge Armiel De Torres and our friend Michael Pasion from Cambodia handling fish, sizing and taking photos, Marisa our Kois & Ponds staff who later took over photography and our staff members Rene, Nonoy, Ana and Edward who assisted us in moving between tanks. 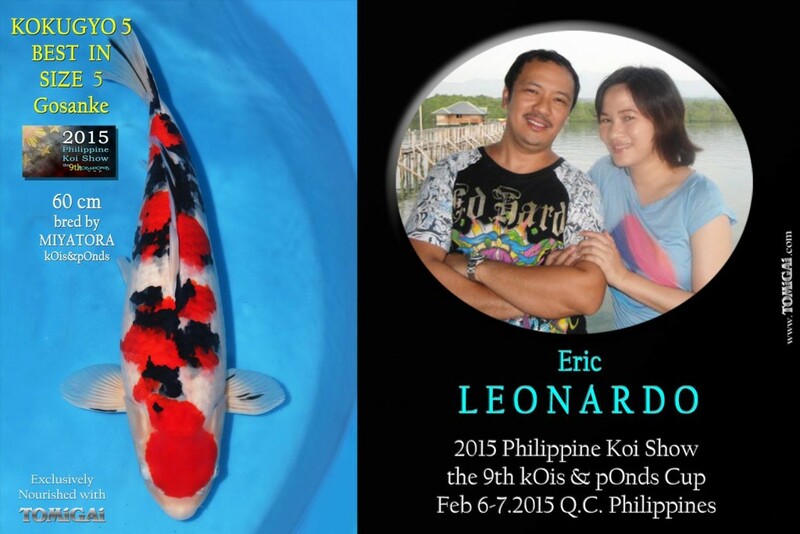 Benching Team 2 consisted of Devin Swanson and Shawn McHenry who handled and sized the Koi, Mark Gardner who was in charge of photography, my cousin and part-time staff of Kois & Ponds Det-Det who was in charge of data entry, our visiting friend all the way from Southern California, Mariano Palpallatoc who decided to stop in and help us out while on his vacation, and a few volunteers who would assist them in sanitizing and prepping the next tank for benching. 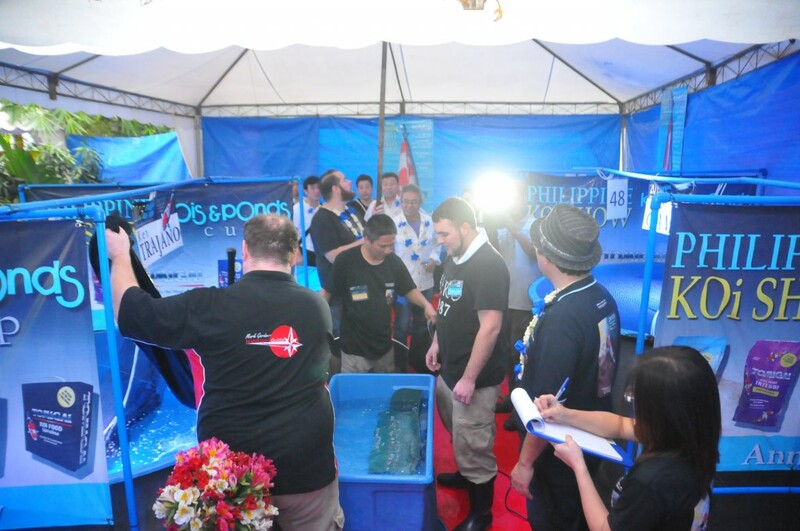 The entire event was like a well-oiled machine wherein everyone knew what had to be done and did it with expert ease. 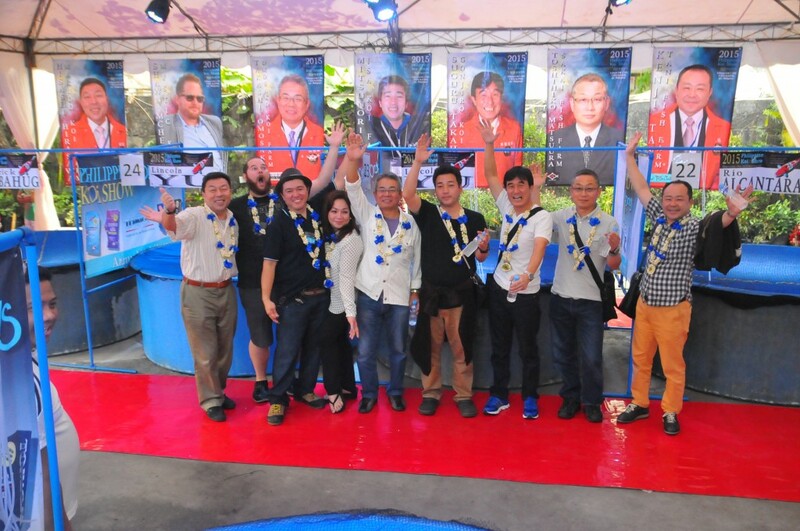 It was sublimely synchronized and self-orchestrating and I have so many, many people to thank for making this event possibly the easiest one to manage. 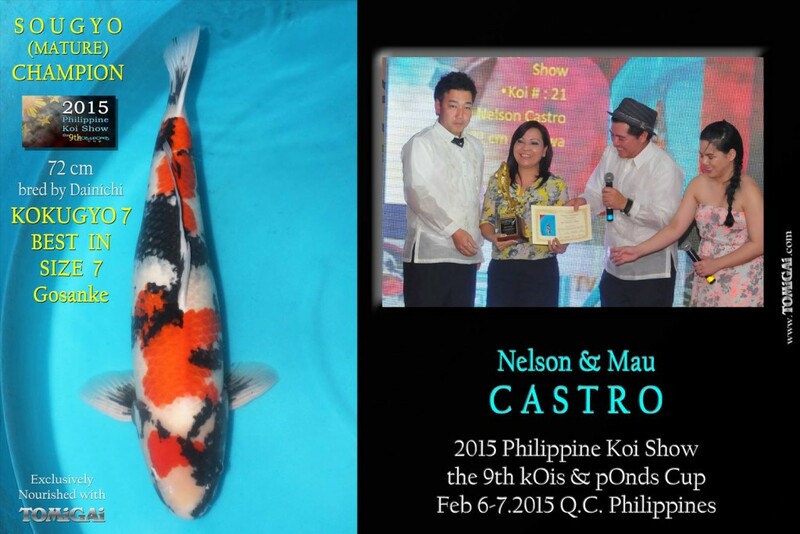 Thank you so much to all the participants, volunteers, candidate judges, company staff members, production team and staffers that took part in the 2015 Philippine Koi Show. 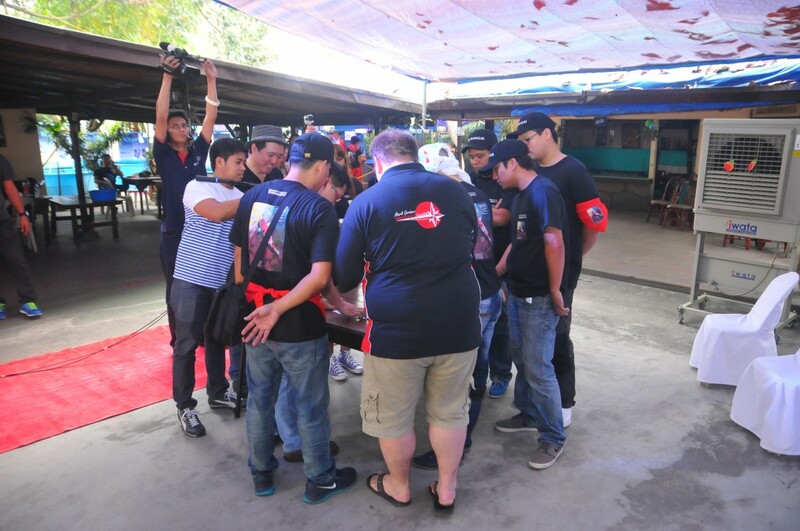 There is not enough gratitude in the world to express how much we appreciate all you have done not only for us, but for the hobby we all love. 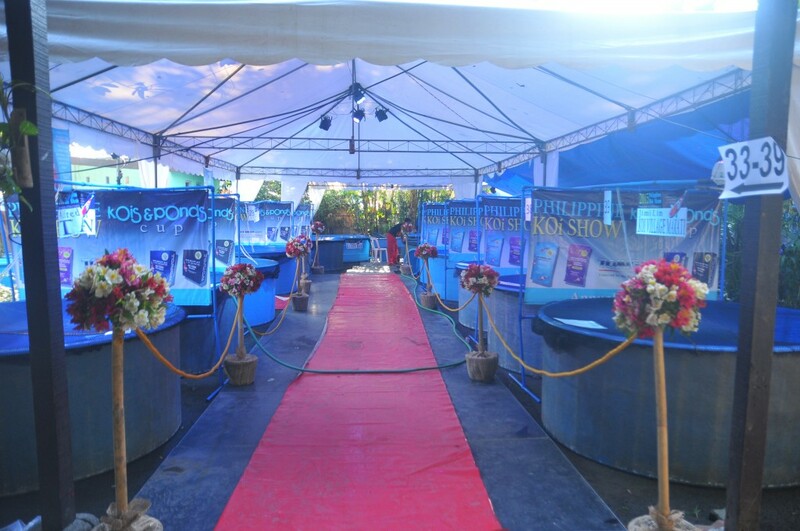 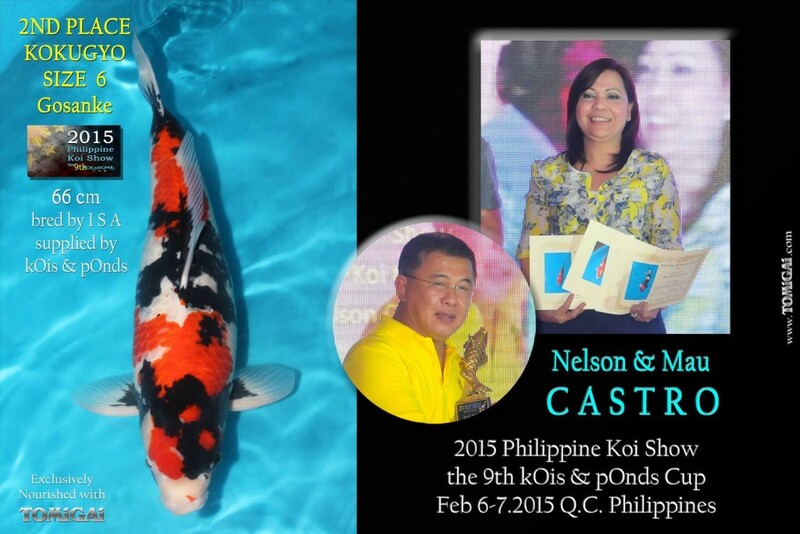 One of the most significant changes that we did this year was that in the past we would do two shows in one: The Philippine Koi Show in conjuction with the Kois & Ponds Cup. 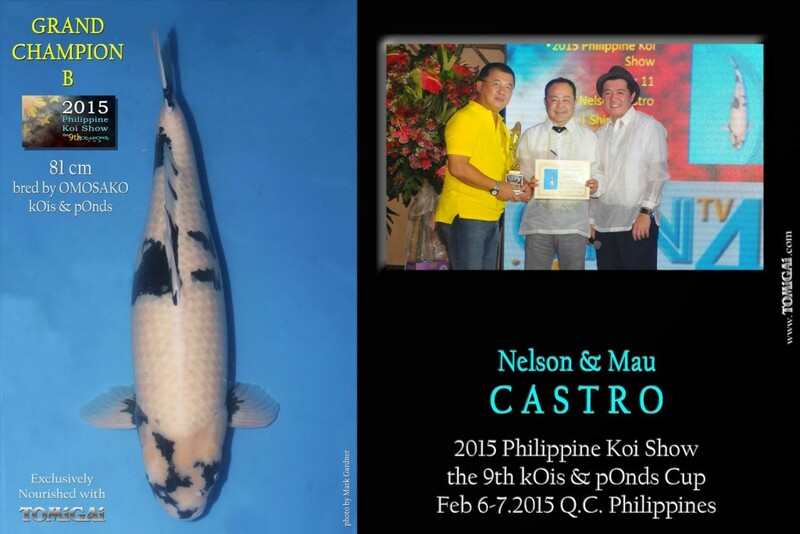 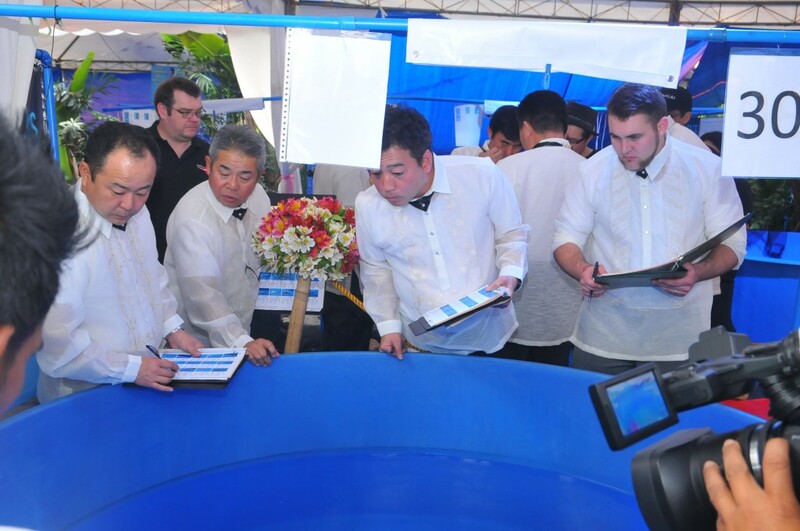 This year, however, we decided to make things a little more competitive and combined the two to make one big show: the 2015 Philippine Koi Show. 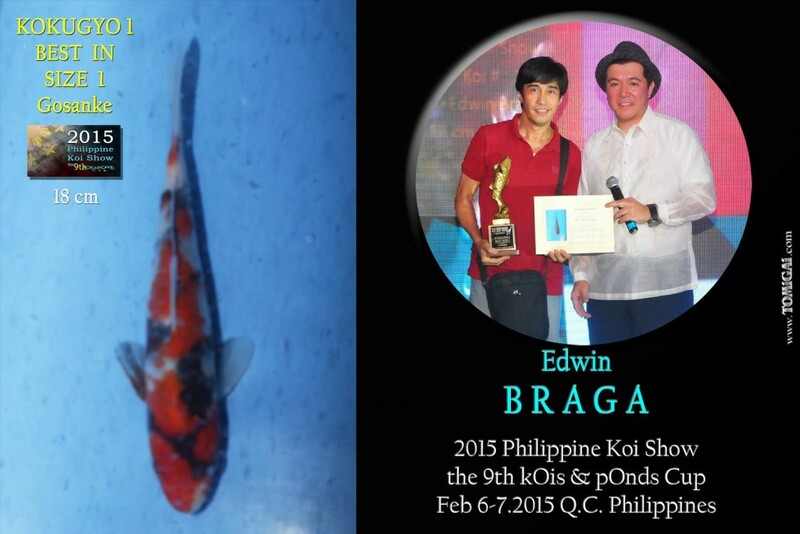 Now with less awards on the table, each participating Koi had to fight harder than ever to obtain one of the “Golden Trophies” that I like to to call the “Koi Oscars” (hehehe). 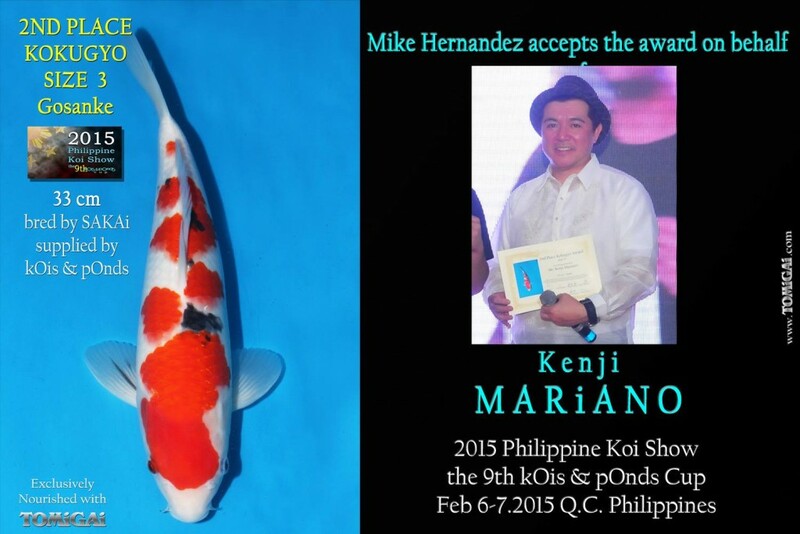 And go about judging in the Shinkokai style. 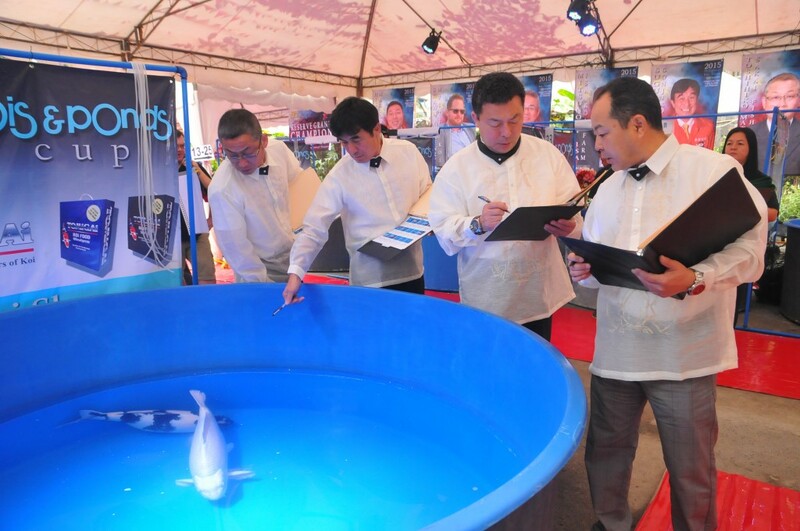 They walk around all the tanks…. 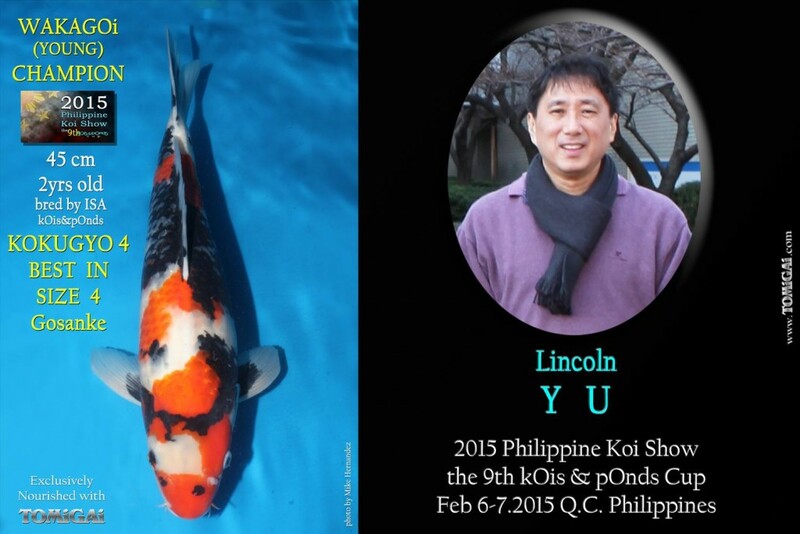 …in search of the Grand Champion Koi. 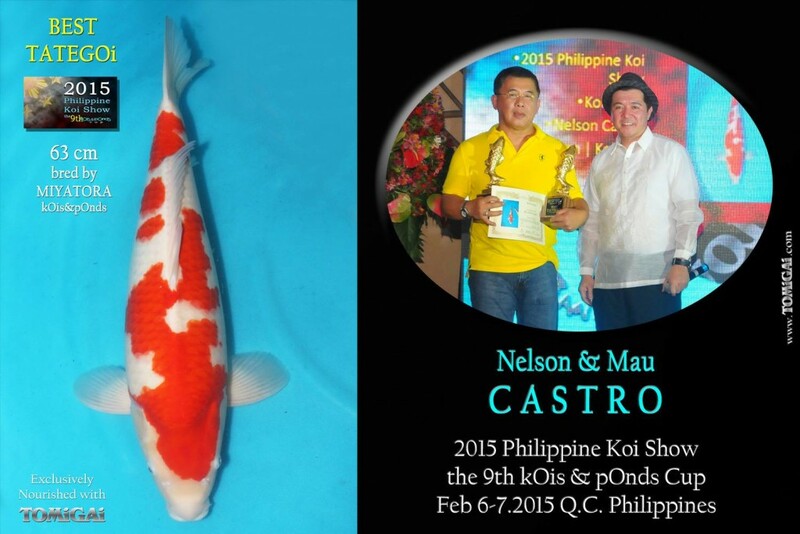 We ask them to decide on the Reserve Grand Champion and Grand Champion B Koi as well. 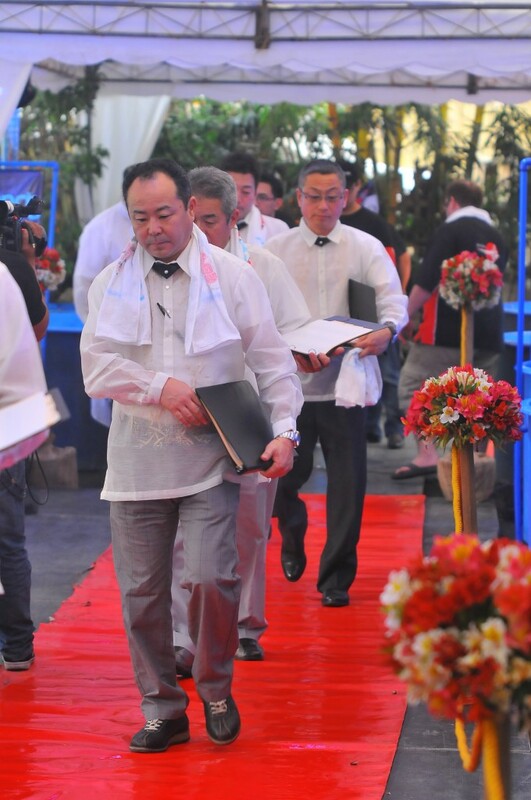 They vote for their choice of winner and write it down on a piece of paper…. 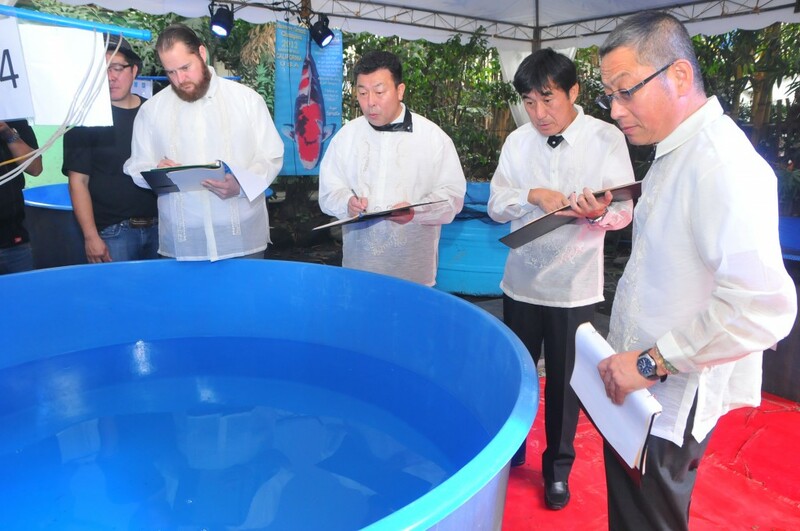 …and the judge’s assistants tally the votes. 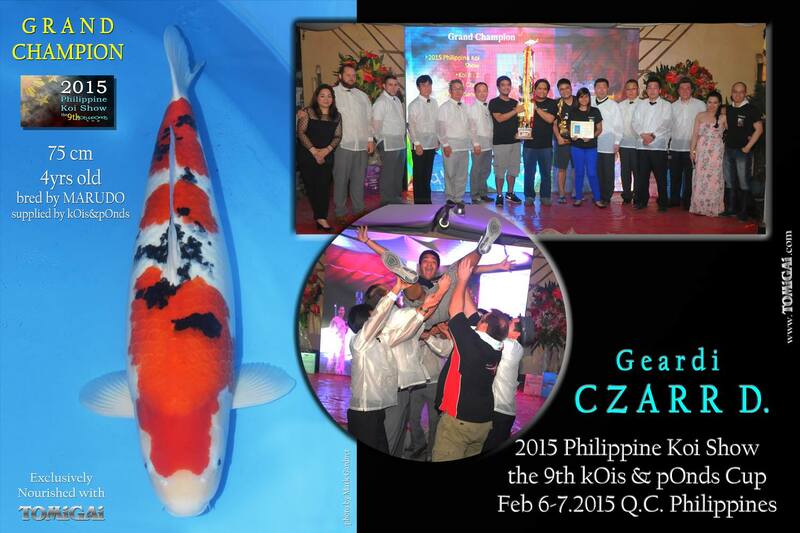 And the Grand Champion is proclaimed! 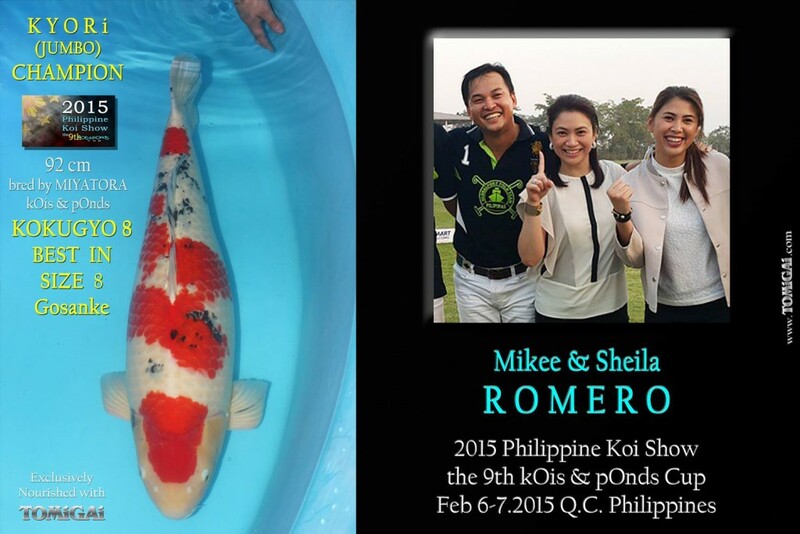 Currently reigning from 2014 and now again for 2015, she has become even more beautiful than before. 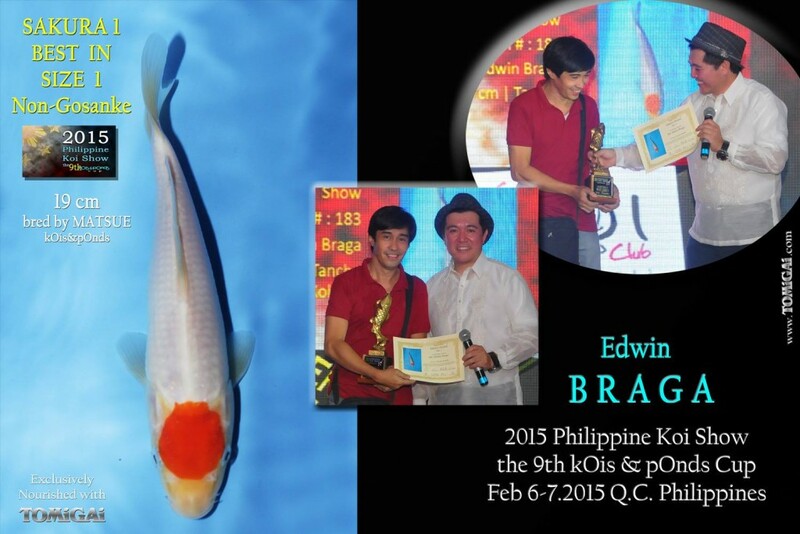 …as well as the Grand Champion B! 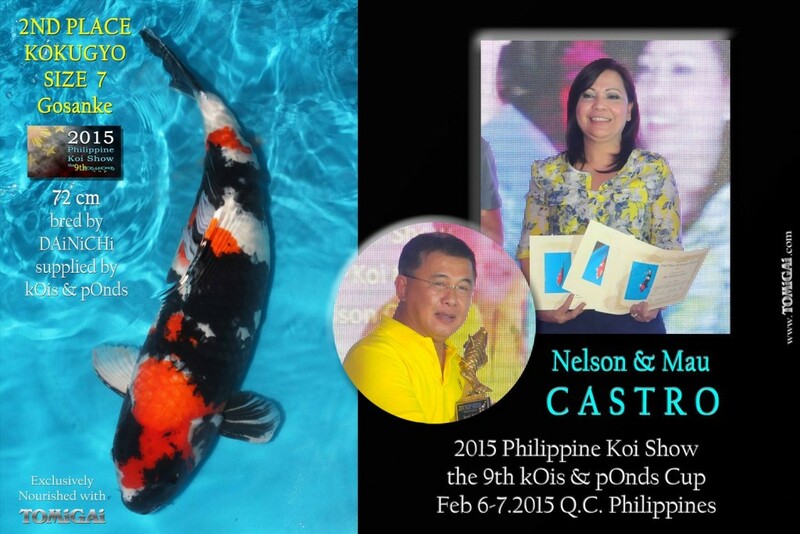 I hope you all enjoyed a little sneak peek into the festivities, fun and love for Koi that created the Philippine Koi Show and stay tuned to the blog as I continue on my journey through southern Japan.